The Venshad are a race of cyberneticaly enhanced humanoids, similar with humans, bearing a more fragile corporal structure and intense blue eyes. They have developed a singular type of technology that enables the perfect union between flesh and circuits. This advancement was of crucial importance for their society, as long as, during the Great Wars, they were being completly overwhelmed by hostile invanders, losing control of all their former colonies. By this time, the first great warrior clans arose, disposing their very lives to secure their existence. These warriors, by sacrificing most of their own bodies, acquired a new type of power. So great was this power that, after a few cycles, all remants of the invaders were destroyed. 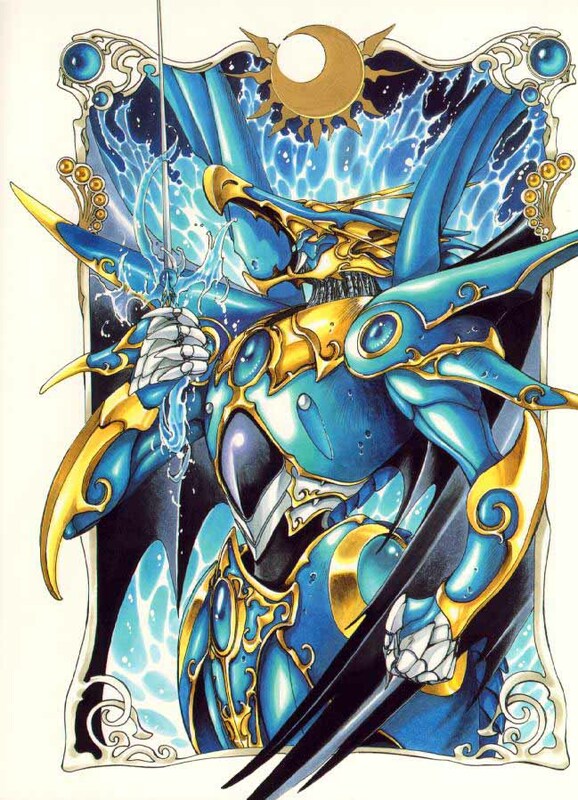 However, great power generates great seduction, and, within few years, one of the surviving warriors of the Great Wars self-proclaimed himself the War Lord, absolute ruler of the new Venshad order. With his soul covered with scars and anger, the War Lord started an everlasting campaign to erradicate all life that would harm again his people, or his authority, converting hundreds of flureshing worlds into life-less shells.